Sharing health and wellness information and my own personal experiences of building good health for both now and the future. The flu is the worst its been in years. Your immune system is a complex system of interconnecting cells, tissues and organs that play a central role in your health. Your immune system is designed to recognize foreign invaders and mounts a response to destroy and eliminate these before they cause health issues. Your immune system develops antibodies so that your body can more quickly destroy these invaders should you be exposed to them again. Staying healthy means giving your immune system the help it needs so that it can protect you all year long. Supporting your immune system with great nutrition is one of the best ways to get a leg up in keeping you well. Start by taking care of yourself. Next, head to the grocery store. A new, safe, must have product to get the great skin you are looking for. YOUTH® , the new breakthrough skin care collection by Shaklee that targets skin at the cellular level, has been featured in A Cruelty Free Me blog. With new YOUTH skin care, Shaklee has proven you don’t have to sacrifice safety and purity for efficacy. All YOUTH products are designed without the questionable ingredients found in so many other products. YOUTH products are all 100% vegan, cruelty free, and gluten free. And our comprehensive “Free of” list contains over 2,500 questionable ingredients that you will never find in any of our YOUTH products. “Consumers today are seeking safe products with nature based ingredients.YOUTH products bridge the gap in that they truly work, while providing consumers with products that they can put on their skin everyday, while never questioning their safety. 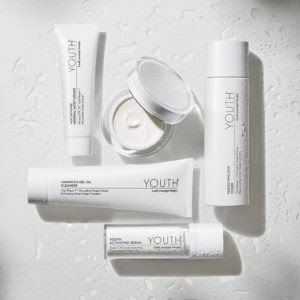 YOUTH is a nature-based product line that satisfies today’s skin care consumers who seek products with safety and purity while providing clinically proven results”- Patti C, Author, A Cruelty Free Me blog. Check out our clinical results. 100% of women were clinically proven to have younger-looking skin and 2/3 actually shifted their skin age into a younger decade with YOUTH. To keep up in our busy every day lives, we could all use more energy. How can we boost our energy? B vitamins are vital to energy production. Almost every metabolic function in our bodies requires B vitamins. Most chemical reactions in our bodies need B vitamins to help the process along. Without B vitamins, we cannot make energy from food, manufacture red blood cells, send a nerve impulse, metabolize food, produce energy, or create hormones. We all get some B vitamins in our diet, but most of us don’t get enough. If you are walking around feeling sluggish and tired, are not in a good mood much of the time, or your brain is in a fog, you may need more B vitamins. B vitamins are water-soluble—that means we don’t store them and they are easily washed out of our bodies. We need a constant source of B vitamins or our body doesn’t work well and our energy fades. Daily stress can place a big burden on our bodies. Stress, alcohol, and poor eating habits all put great demands on our bodies for more B vitamins. Certain populations need more B vitamins. Vegans, vegetarians, people who’ve had gastric bypass surgery, and anyone with digestive conditions are typically at risk of not getting enough B vitamins. And if you are pregnant or contemplating pregnancy, it’s very important that you consume adequate amounts of B vitamins, especially folate, for the health of your baby. If you want to take on your day full of energy, then make sure you are getting enough B vitamins in your diet. Supplementing is a good choice if you are not sure you are getting enough of these important vitamins in your food. The next time you are out running (or just out running errands), working, or playing and you feel that dip in your energy, reach for a good multi-B vitamin supplement to make sure you are getting all the B vitamins you need. What is Health made up of? 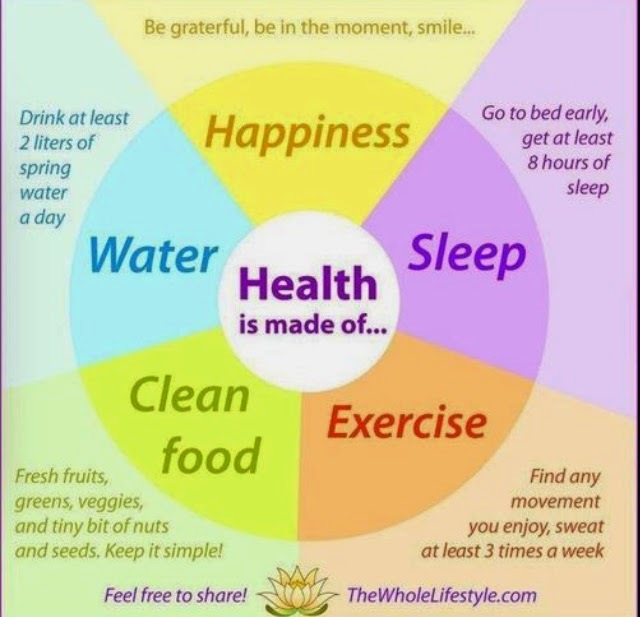 5 Key Components to a Healthy Lifestyle: Clean Food, Exercise, Sleep, Happiness & Water. What's the only multinutrient proven to create the foundation for a longer, healthier life? Shaklee's Vitalizer! One of the most important things that you can do if you want to target living a healthier life is to maintain a healthy weight. That's because there are many illnesses and diseases that can start due to being overweight or obese. Your heart can benefit from staying at a healthy weight because your risk of heart disease goes down, and you are more likely to have a healthier blood pressure. Your cholesterol and triglyceride numbers can both improve if you lose some extra weight. Blood sugar numbers are also positively affected when you control your weight. And your insulin resistance can improve. Inflammation is now thought to be the root cause of many diseases. Your fat cells produce more inflammation. Losing the extra pounds reduces both inflammation in your body that causes pain, and reduces your risk of getting age related diseases (and those are starting at younger ages now - even in childhood with obese children). You may feel it in your joints when you carry around a good bit of extra weight, or any amount of extra weight. 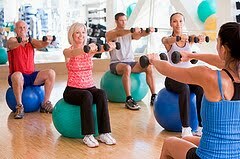 Every pound you lose reduces stress on your joints and that can result in being pain free (or at least pain reduction). There are now studies to back up all of these points. And the tricky thing is that these health issues don't always spring up right away. It can take awhile for you to experience them, and then they can become harder to address. 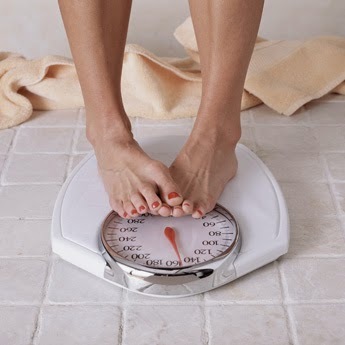 The closer you get to your healthy weight, the better overall health you have. Another point of interest is that when you start to lose weight, and you do start to feel better, you are setting yourself up to lose more and to get to your goal. It's not rocket science, but it may not be easy for you either. Maybe you have been on diet after diet and are frustrated that they are not working for you. Maybe your body isn't hurting with aches or pains bad enough, or you aren't facing any other health risks yet. If you look at the scientific studies and the risks that you will begin to experience these problems, why not let the health risks help you get to your healthy weight. You will get some great side benefits as well, such as your clothes fitting better, the inches of fat peeling away, and proud feeling of accomplishment. To learn about a weight management program, that was designed by the #1 Natural Nutrition Company in America to be an inch loss program where you keep your lean muscle and lose only fat - and how exactly that works to help you succeed better, visit How to Live a Healthier Life. How Can You Safely Lower Your Blood Pressure? Learn the Science Behind It. In this video, learn more about a safe and natural nutritional approach to help retain a healthy blood pressure. To find out more about Shaklee Blood Pressure, a scientifically supported nutritional solution to help retain healthy blood pressure by helping to promote healthy blood vessels and blood flow, visit: How can you safely lower your blood pressure? Can Resveratrol Help Us Live Healthier and Longer? Interested in the secrets to healthy aging? Here are some great tips! Immune System News from the Science Department..